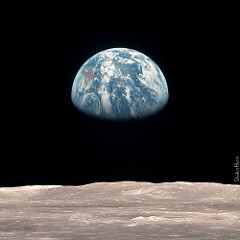 Edward has been interested in space for a long time, it’s a fascinating subject and can be quite mind blowing. I’ve often sat down with him to watch a documentary about space but to be honest after my initial enthusiasm about finding a shared activity to do with my son, I find that these programmes simply cause me to nod off. When he was still very young, Edward learned about the existence of gravity. One morning Nick and I overheard Edward talking to the twins, who were both awake in their cots in the bedroom they shared. 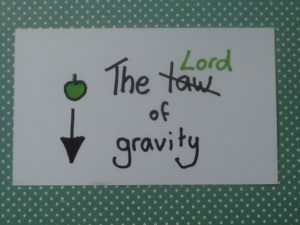 We heard Edward declare loudly “look, the lord of gravity is at work” and then we heard a massive crash. Sure enough the items he had been holding in each hand had obeyed the law of gravity and plummeted onto the laminate floor with a satisfyingly loud noise. I was just relieved that they were not breakable but then again this would have been highly unlikely as we were definitely well into the childproof/trashed house stage by then. Edward likes information so long as it is factually accurate. If someone says something that he knows is not true he experiences a very strong desire to provide immediate clarification. Unfortunately this means he is highly likely to correct teachers if they say things which he believes, rightly or wrongly, to be inaccurate. When he was younger his poor social skills meant that his input would not be given subtly and discreetly at the end of the lesson. Oh no. Edward would, with some agitation and annoyance, provide what he thought was the correct information during the lesson in front of the whole class. You can imagine how well that went down. One of the times I am aware that this happened was in a PE lesson when Edward was in key stage 2. The children were having to move around the room imagining that they were in different environments. “move as if you are walking through deep mud”, “move as if you are trying to be as quiet as a mouse”, etc. It all went horribly wrong when the teacher said “move like you are walking on the moon where there’s no gravity”. You see there is gravity on the moon, in fact if there wasn’t gravity on the moon you would not be able to walk on it at all. An untruth had been uttered and it had to be rectified, immediately. 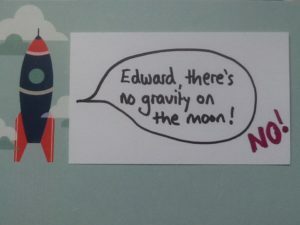 Edward, a world class ambassador for truth at all times and in all situations, sprang into action, “Miss, there is gravity on the moon!”, he shouted. “No, there isn’t Edward” she replied. Total disaster. Crisis. The teacher did not have basic science knowledge, Edward was horrified and felt the need to teach his teacher right there and then in the middle of the PE lesson. He was really distressed, agitated and perplexed and couldn’t understand why the teacher wasn’t properly listening to his clear explanation about the gravitational field around the moon. Why would she not come round to his way of thinking? He was unable to regulate his behaviour, he just kept on going, arguing his case for lunar gravity. In the end he got sent out of the room for bad behaviour. He was confused about that for a long time. He felt that he had been punished for trying to be truthful. We had to defend the teacher; he was going to be in her class for another term or two. In his eyes she was totally incompetent because of that one remark. We explained that not all teachers are knowledgeable about space and gravity. It had been a PE lesson and the main purpose of the lesson was to get the children moving in different ways. It wasn’t a science lesson. If it had been a science lesson the teachers comments would have been a problem. We talked about how the teacher would have felt, being challenged in that way in front of the whole class. We agreed that it would have been better if she said, “Oh thanks Edward.. well imagine you are on the moon where gravity is much weaker than it is on earth”, but she hadn’t. We talked about what he could do next time a teacher said something that he didn’t agree with. We talked about it a lot. We didn’t just talk though; we role played. We repeated the PE lesson at home. I played the teacher and Nick and Leila pretended to be other kids in the class; “move like you are on the moon where there’s no gravity” I said. Nick and Leila moved like spacemen slowly bouncing around the dining room. Edward practised putting his hand up and waiting for me to look at him and say “yes, Edward?”. “Miss, there is gravity on the moon!”. “No there isn’t Edward!”… the first couple of times we basically role played exactly what had happened in school… but after a few goes he worked out, (with a lot of prompting and guidance) that the best plan would be for him to copy what the other kids were doing and stay quiet. At the end of the lesson, we worked out that he could either talk to the class assistant, who he really liked, and/or talk to us when he got home. The school actually handled the aftermath of the PE lesson really well. Another teacher who understood more about autism and hence Edward, spent time listening to him while he talked to her about gravity. Later, he was invited by another teacher to give a short presentation about space to his class. I was so grateful to those teachers! More recently Edward asked me, “mum, is it wrong to correct someone’s grammar?”. I responded: “well that depends on the situation, who they are and your relationship with them (thinking to myself…oh no .. which teacher has he corrected today). Have you corrected someone’s grammar today?” I ventured. “No” replied Edward. 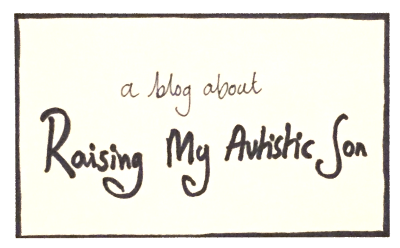 I felt overwhelmingly relieved and enquired as to why he had asked me the question. I loved the ending – broke the rules of the quiet zone on the train as I burst out laughing. So glad you enjoyed it. I love the fact it made you laugh out loud! Love this, we had a similar experience with our little one in reception when a teach got a dinosaur fact wrong…to give her her dues after she had checked she apologised to L in front of the class! The next day the teacher was shown the children where they go to look at facts about dinosaurs and L pipes up ‘or you can just ask me’…? Love how she works! That reception teacher sounds great. We all make mistakes but not everyone is able to apologise so well when they make them. I love that L had the self confidence to offer to share her knowledge with the rest of her class. Thanks for commenting. Thanks for your comment Tracy… I never have to worry about not getting feedback in my house! Thanks for your kind words Anne! I am glad to hear the ending made you laugh. Edward…I love that you stand for truth, even though your PE teacher couldn’t understand that. It’s hard learning how to interact with all these different people you sound like you’re really getting to grips with it with the help of your family. I’m 32 and still learning about this. yes.. I am proud of him. I have no idea how he manages to know and remember so many facts. My mind is like a sieve in comparison.